This singer has been singing and enthralling audiences for years now. She had always known that she wanted to be a playback singer. Winning the TV reality show ‘Sa Re Ga Ma Pa’ at a very young age gave her the opportunity she was looking for. Shreya Ghoshal husband is her long time childhood friend Shiladitya Mukhopadhyay. They got married in 2015. She is 31 now and had debuted with the film ‘Devdas’ in Bollywood. Since then there was no looking back. She has appeared thrice in Forbes magazine and if that’s not success then we don’t know what is. This singer is just next in line. She is of the same age as of Shreya Ghoshal. Sunidhi is 32 and started performing since the age 4. She debuted in the film ‘Shastra’ at the age of 13. Most recently she did the voiceover for ‘Frozen’ in the Hindi version. She has won a lot of awards for her songs. Her influences include western techniques and Lata Mangeshkar, Kavita Krishnamurthy etc. her first marriage ended in a divorce. 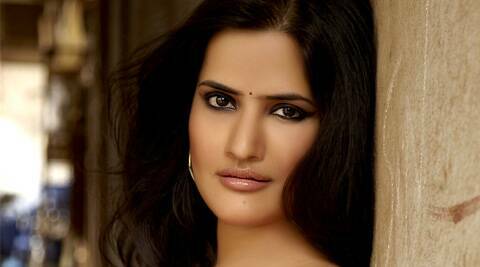 But she remarried in 2012 with Hitesh Sonik who is a music composer. This singer is soon going to be a legend. She has a career spanning 3 decade and as many as 20 of her tracks was enlisted in the ‘Top 40 Bollywood hit songs of all time’ compiled by BBC. She is 49 now and had started her career as singer at the age of 6. She started singing Bhajans at Akashvani. But her real break was in 1988 with the song ‘Ek Do Teen’. She got married to Neeraj Kapoor in the year 1989 but their marriage ended in separation and now they remain ‘just friends’. The reason for the separation being not finding enough time to meet each other as both lie on opposite parts of the country. This singer came into the mainstream more recently as compared to her counterparts. She is the daughter of the legend Sujatha Mohan. She is 29 now and has already bagged a host of awards for her outstanding renditions. She was blessed enough to work with some of the most accomplished stalwarts of the industry. Shweta married Ashwin Shashi who had been her college friend. She is called the Nightingale of South India.